To use the Philosophy Purity Facial Cleanser I tend to first dampen my face with warm water and then squeeze a small amount of cleanser into the palm of my hand. I will then proceed to add some water and rub together to create lather.I then apply this all over my face and massage in circular motion. I tend to pay particular attention to my eye area as I wear the most make up. After massaging for a few minutes I will then rinse with warm water and finish with a splash of cold water, just to close the pores. I will then pat dry my face and apply my skincare products. A facial cream to instantly hydrate and rev up radiance. This lightweight, oil-free facial cream is fortified with legendary skin-boosters like panax ginseng and coffee bean to jumpstart hydration levels. Lackluster-looking skin is rapidly refreshed and revitalized to create a healthy vibrant glow. The cream smells natural and fresh and w/ gentle dabbing it blends into skin easily.The cream is clinically proven to reduce dark circles, puffiness and give your eyes a brighter appearance.Ingredients include caffeine from the coffee bean, magnolia extract and ginseng. 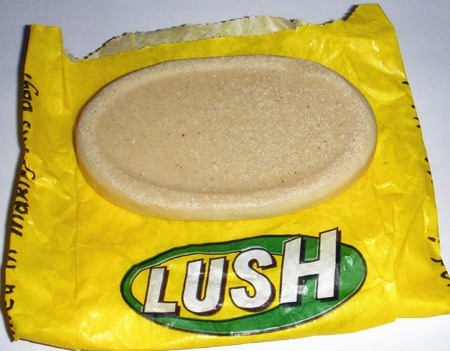 Lush toner waters are slightly different from the usual toners. They are alcohol-free and work by providing a moisture boost to the skin. These toners are packed with skin-soothing essential oils that help combat tiredness, dryness and blemishes. 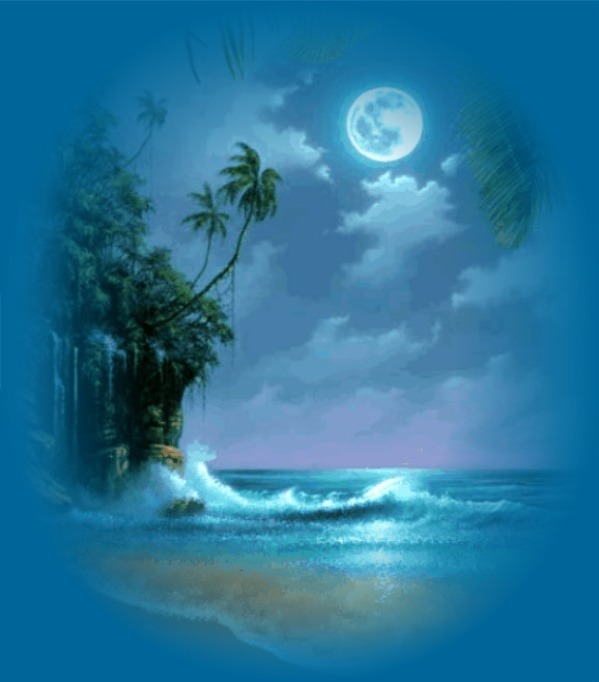 Breath of Fresh Air: meant for dry skin & has sea water,sea weed extracts,& aloe vera to refresh & soothe skin. Eau Roma Water: with rose water for cooling & softening the skin & lavender to balance oil production. 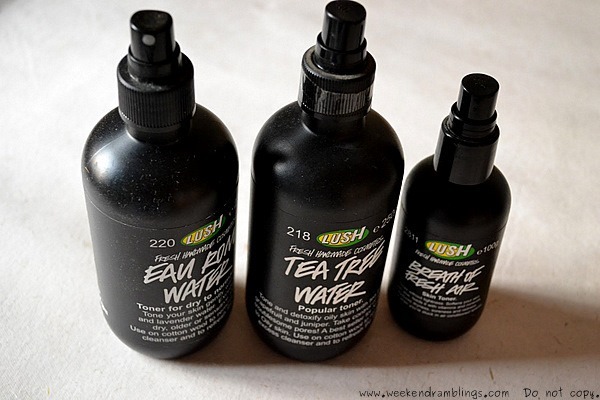 Tea Tree Water: for oily,acne-prone skin.Tea tree oil to fight acne & soothe skin. This is the Lush Facial Cleanser Full of Grace Serumand it is the ONLY product in my recent memory that I have used and seen immediate results. Wait, let me back up. Yes - this is a serum, even though it's a solid. It melts in your hands, or on your face, upon contact. It smells + feels wonderful. 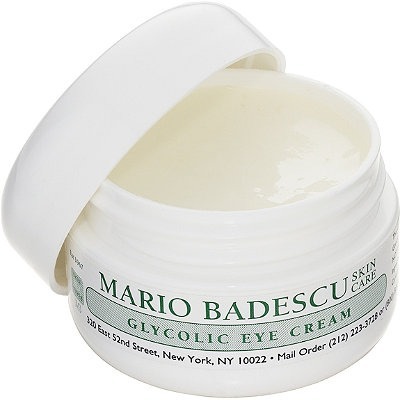 Mature skin showing signs of wrinkles and sun damage will enjoy the benefits of this skin smoothing, rich eye cream. 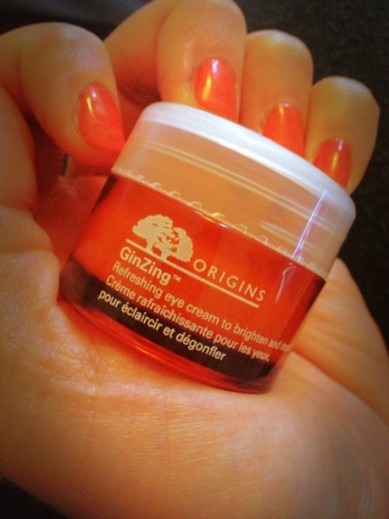 High in antioxidant vitamin E and a blend of oils for a soft, and more youthful looking eye area. 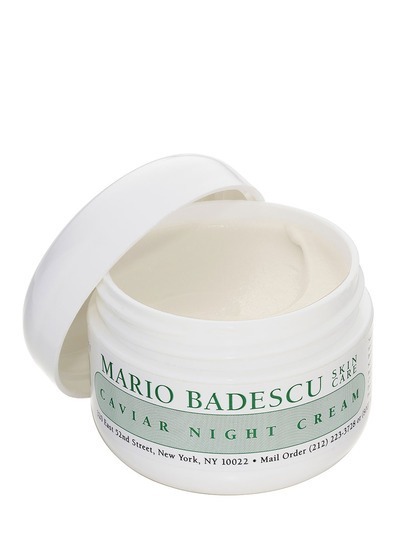 Dry, aging skin will find luxurious comfort in the Caviar Night Cream, which harnesses the nourishing benefits of Cocoa Butter and protein-rich Caviar Extract. It also contains Collagen to help encourage a firmer, more youthful-looking complexion. 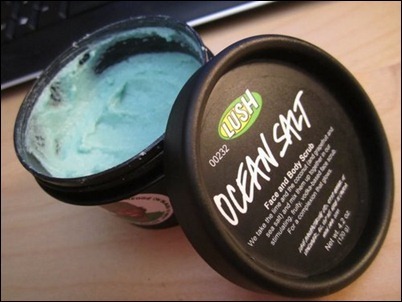 For an Exfoliator: Like most LUSH products, Ocean Salt has a very strong scent, and I’d like to go on record saying it’s INCREDIBLE! With ingredients like lime, vodka, coconut oil, and sea salt, it’s about as close to a margarita as you can get without drinking one. LUSH claims that the antibacterial properties of lime and vodka help prevent acne while mineral-laden sea salts help to clear blocked pores. I’ve got to say I agree – my skin has been quite clear since using. Although the salt might be drying on very dry skin, it’s fine on my combo skin. 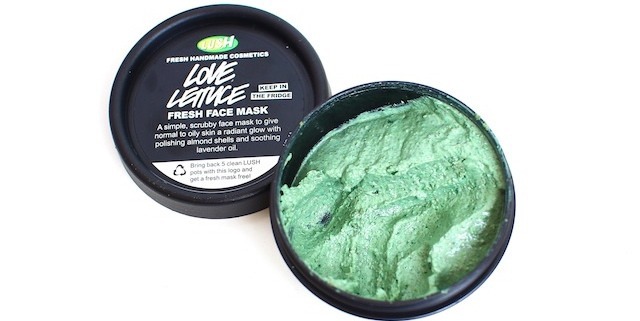 This is marketed as a “balancing mask for all skin types”. It has kaolin clay to tighten pores and draw out impurities, honey for moisture, ground almonds to gently exfoliate, fresh seaweed to nourish and soften, and 100% pure French lavender oil to balance your t-zone and ease any inflammation. I apply this after I have cleansed my skin and leave it on for 10 minutes (or 20… naughty), and then rinse it off with warm water, rubbing in circles to exfoliate as it is removed. This is my go to when my skin feels tired.